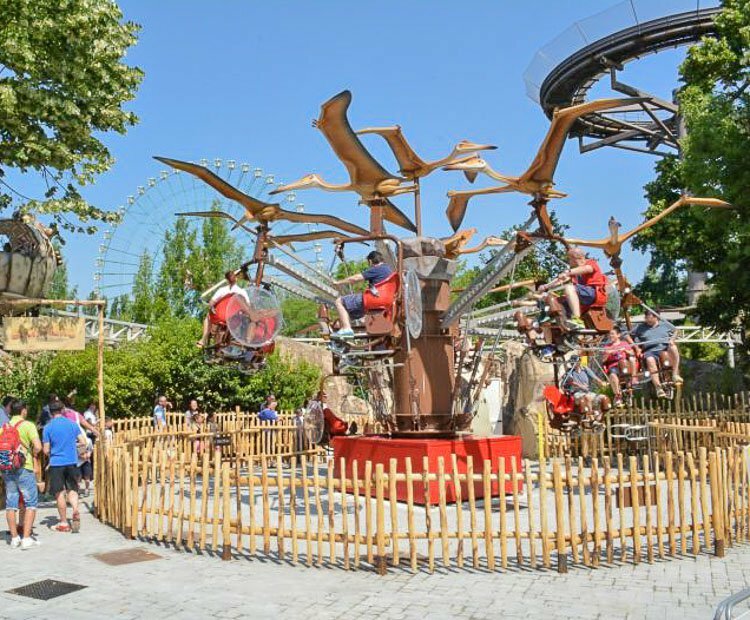 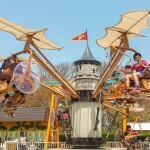 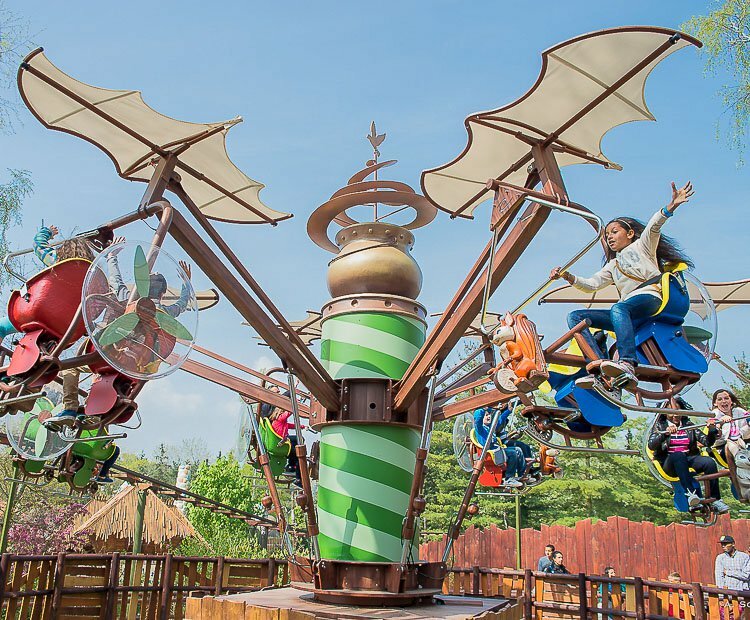 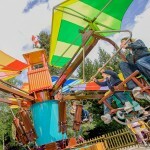 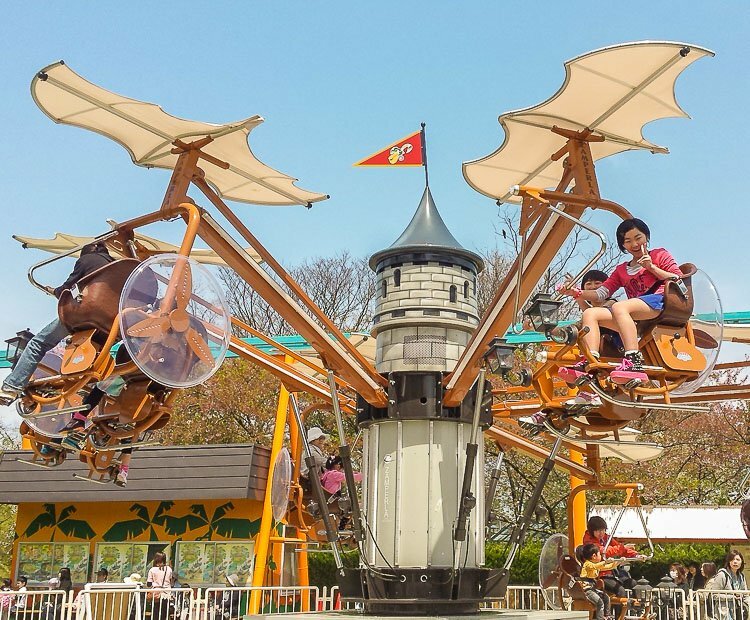 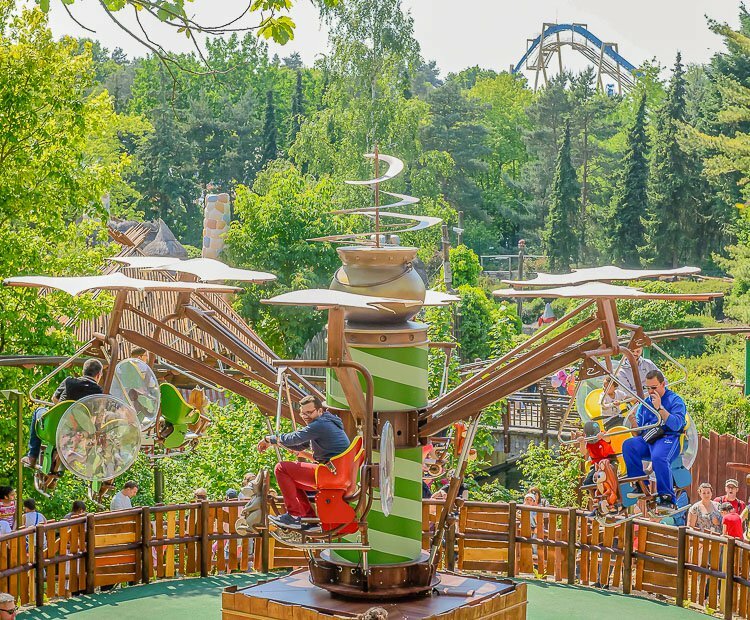 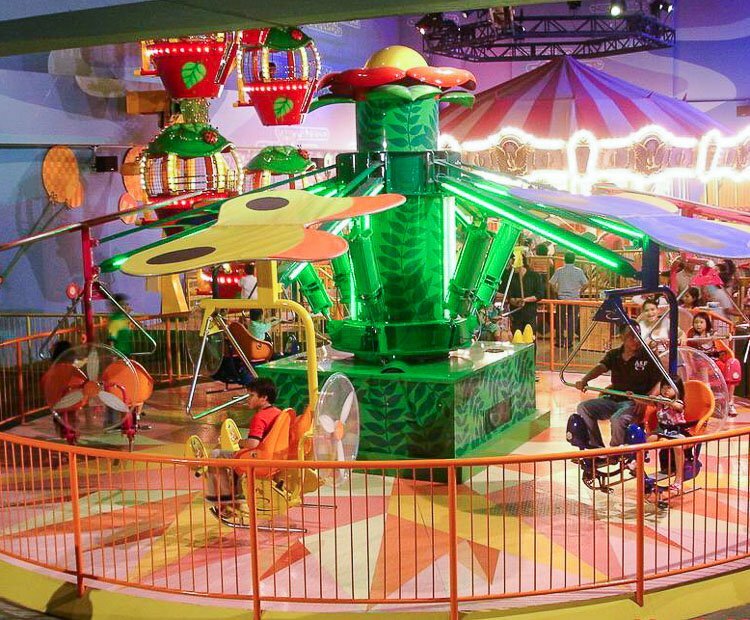 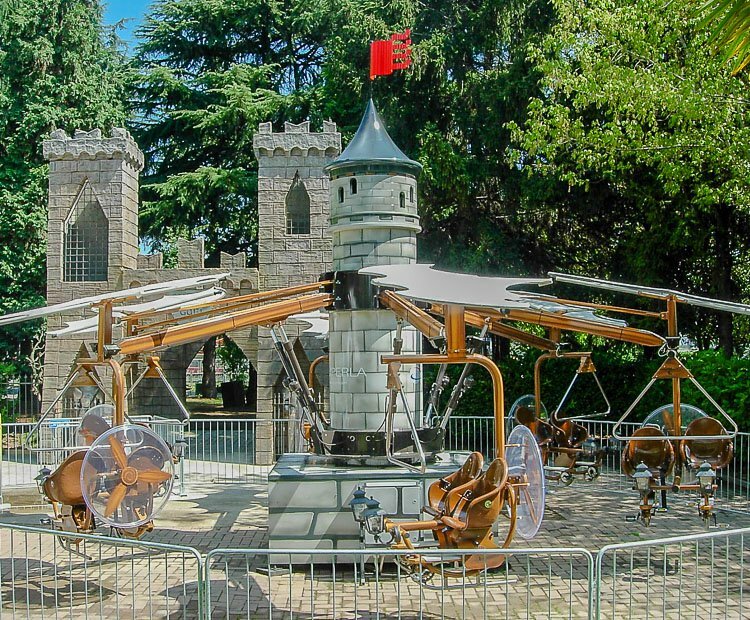 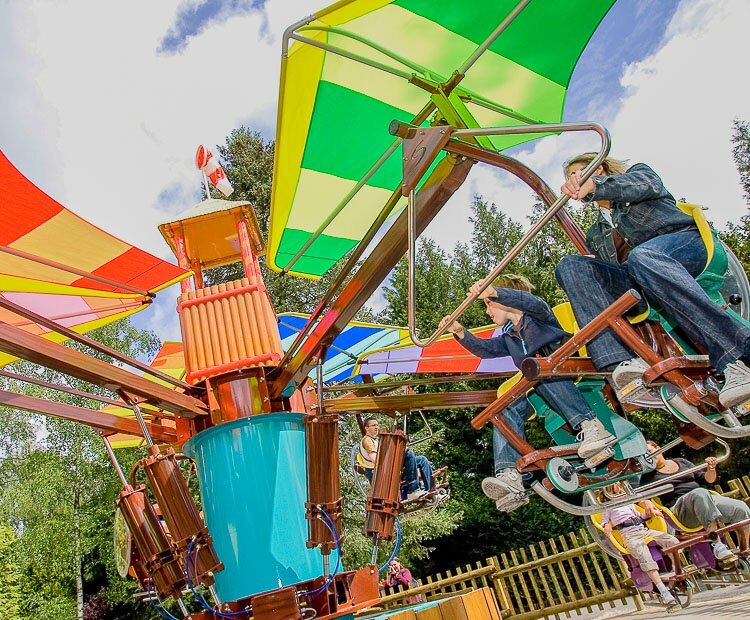 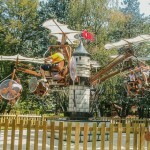 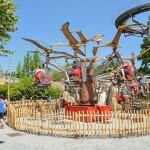 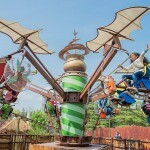 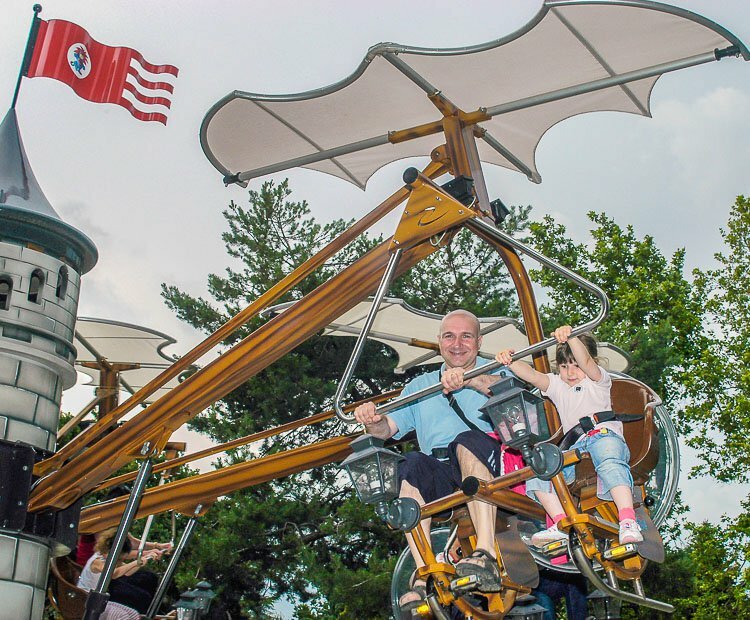 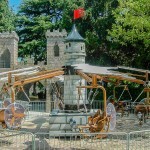 The MAGIC BIKES – “Above us only sky” mini jet style ride is the latest in a long line of interactive family rides from Zamperla. 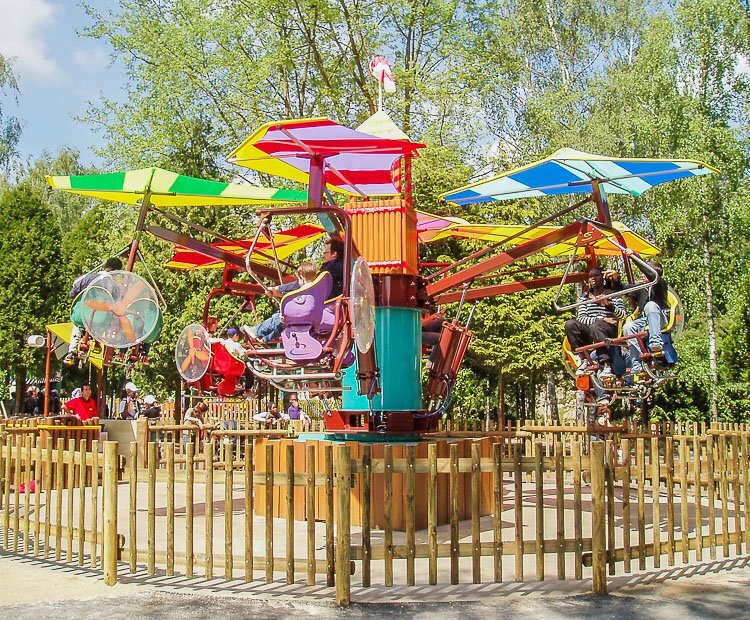 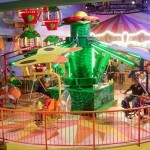 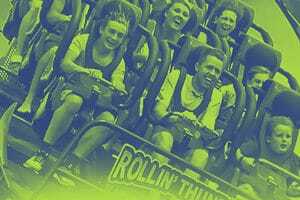 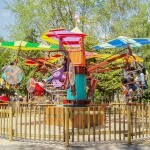 This new family flat ride features six colorful, hang glider themed vehicles for a total capacity of 12/16/20 per cycle. 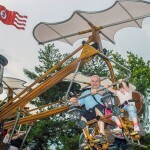 Each car places riders on an elevated seat with bicycle pedals. 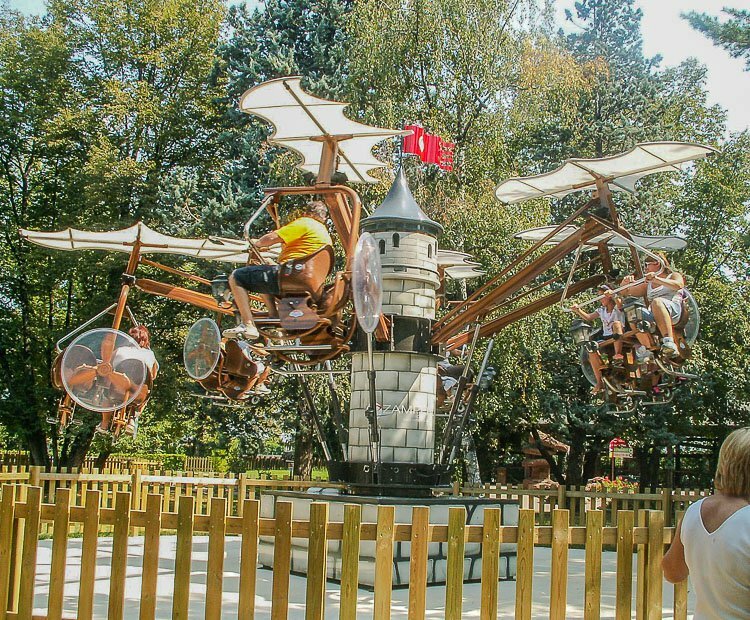 Once the ride cycle begins, riders are in full control as they swoop and fly their way through the sky. 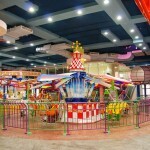 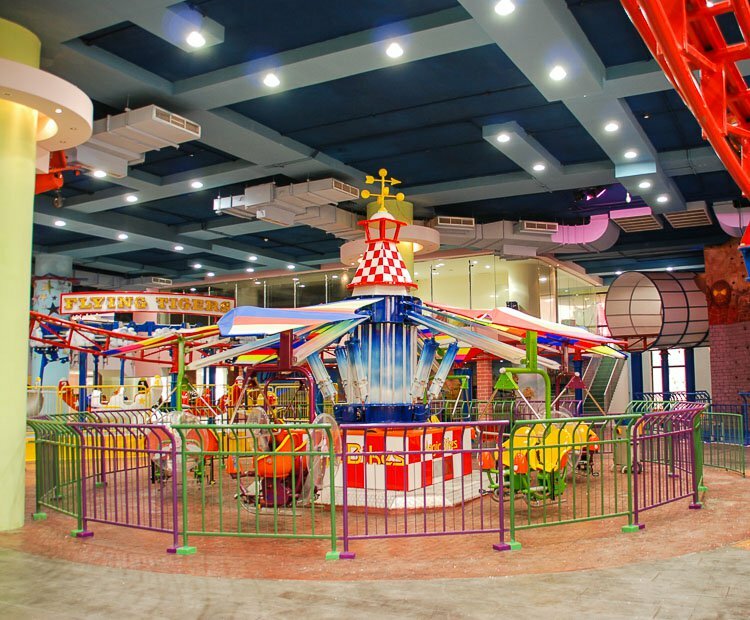 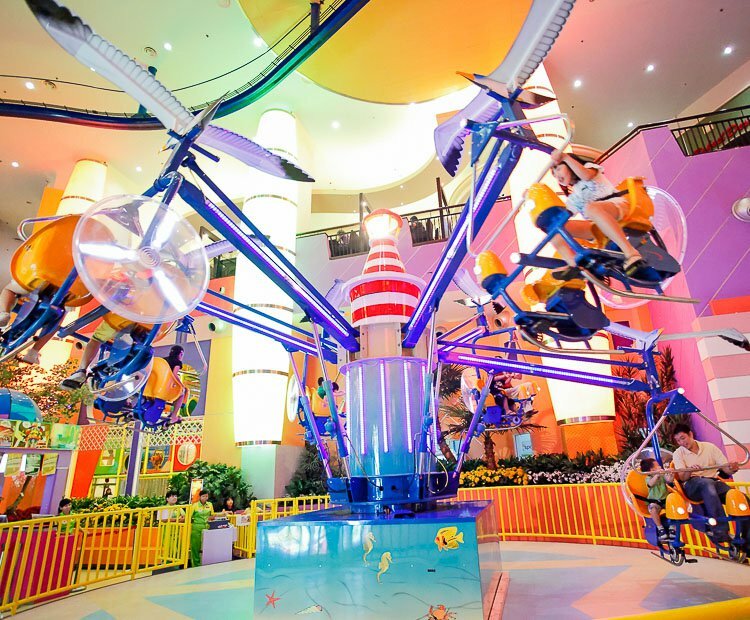 This unique interactive ride is sure to put smiles on kids of all ages and keep the re-ridership numbers sky-high. 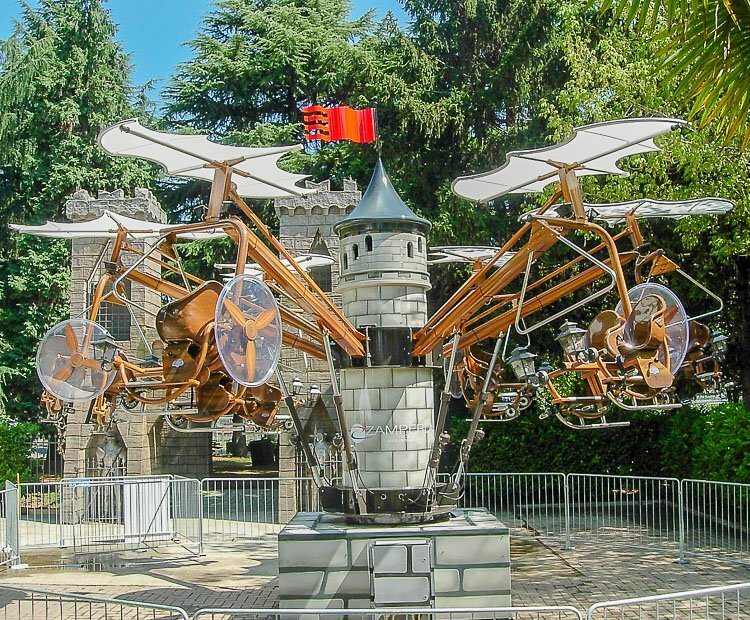 The Magic Bikes ride comes complete with a beautiful light package, and is also available in a slightly smaller four sweep model. 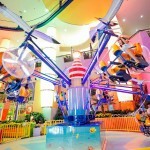 As additional options, the Magic Bikes ride can be equipped with a silenced compressor unit for indoor applications. 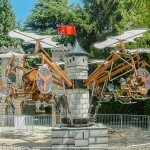 Do you need more information about Magic Bikes?